While Hilliard didn't receive a carry, Hilliard caught nine of 10 targets for 105 yards in 2018. 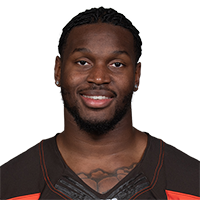 Analysis: Hilliard joined the Browns as an undrafted free agent this past offseason and was eventually promoted to the practice squad in early October. He was used mostly on special teams, but the rookie showed his ability to catch the ball out of the backfield when he caught four passes for 40 yards against the Texans in Week 13. He'll likely fight for a roster spot in 2019. Hilliard caught both of his targets for 20 yards in Sunday's 26-20 win over the Panthers. Analysis: Though Hilliard played just four snaps on offense, he still managed to catch two passes. This comes on the heels of a four-catch performance in Week 13. He's become more involved in the offense over the past few weeks and could continue to see more work. Hilliard caught all four of his targets for 40 yards in Sunday's 29-13 loss to the Texans. Analysis: Usually a role designed for Duke Johnson, Hilliard made his mark as a pass-catcher out of the backfield, setting career highs in catches and yards. The rookie out of Tulane had recorded just two catches prior to Sunday's matchup and is still in search of his first NFL carry. 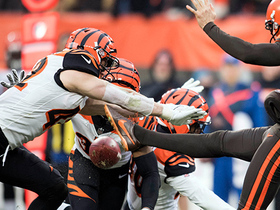 Cincinnati Bengals safety Clayton Fejedelem blocks crucial punt and Bengals recover. 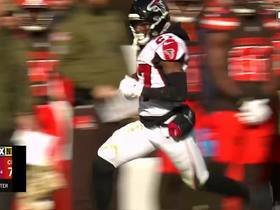 Atlanta Falcons defensive back Damontae Kazee intercepts pass on trick play intended for Baker Mayfield. 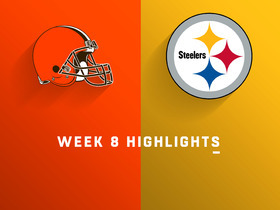 Watch highlights from the Cleveland Browns vs. Pittsburgh Steelers as the Pittsburgh Steelers defeated the Cleveland Browns in Pittsburgh for Week 8 of the 2018 season.